It's super easy to make your own pita chips at home. Grab a pita pocket, some olive oil, and just a dash of salt. 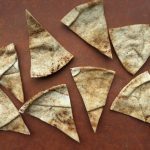 Use a pizza cutter or a pair of kitchen shears to evenly divide the pita pocket into 8 triangle-shaped wedges. 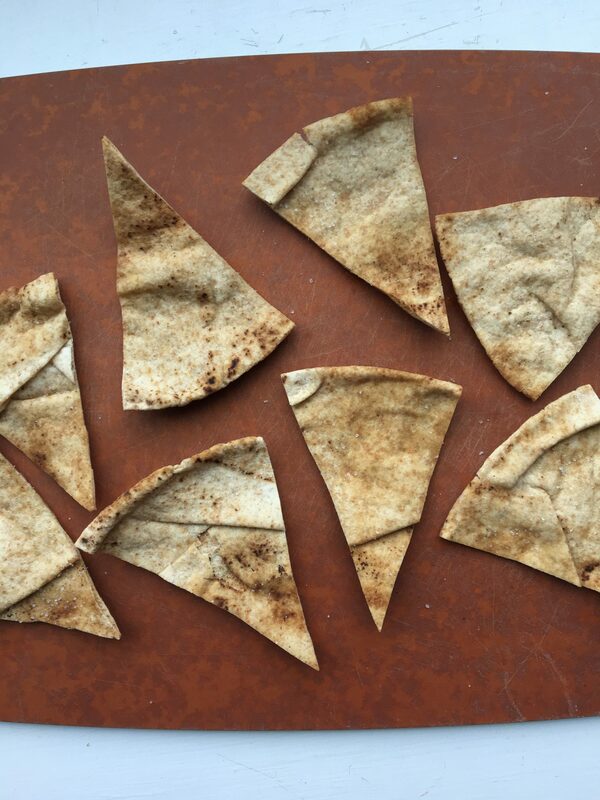 Place pita wedges on a baking sheet lined with parchment paper. Using a pastry brush, lightly coat both sides of each pita wedge. Sprinkle with salt and place in the oven for 7 minutes. Remove from oven and enjoy with your favorite dip.